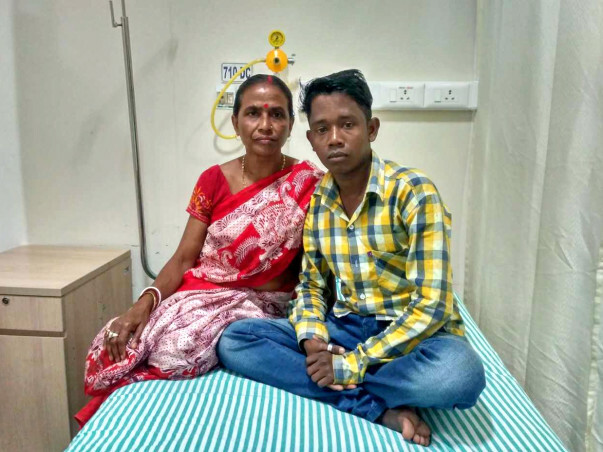 Since he was just six months old, 23-year-old Sukanta Das has been suffering from a severe disorder called Thalassemia. 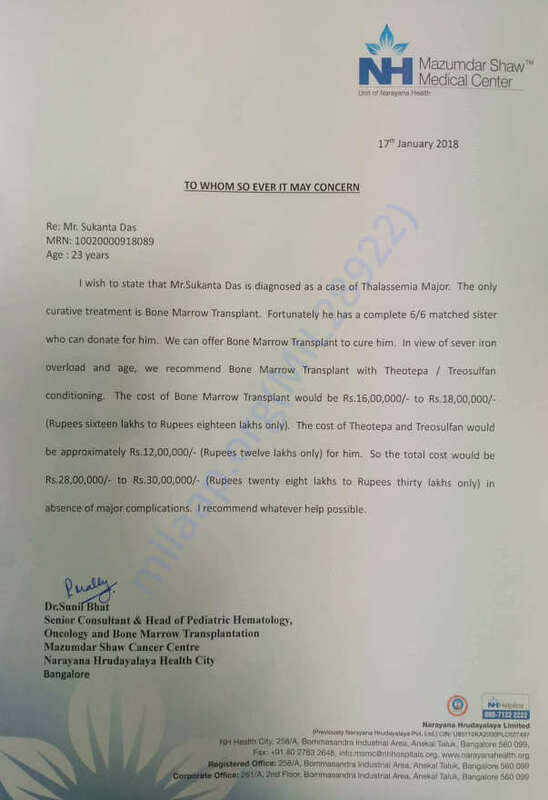 The only treatment for him is a bone marrow transplant costing around 30 lakh Rs. Unfortunately, Sukanta or his parents do not have the funds to afford his treatment and need our help. Thank you for your contributions. I'm happy to inform all of you that the doctors have confirmed my sister as a potential donor for my Bone Marrow Transplant. I'll be on medication until I arrange enough funds for my transplant. The doctors have advised me to stop any iron and calcium intake. I take rice, dal and vegetables. I'm also advised to take juices once in a while. I'm not currently going to college. I've dropped out because I don't have enough strength to walk or stand. I feel slightly better because of the medicines but I'm strictly advised to go for a bone marrow transplant for me to be able to recover. Please keep supporting me so I can live a normal life again, finish my education and do everything that a normal, healthy person of my age does.